Lake Tahoe is an American treasure. It is stunningly beautiful, the air is crisp and clear, and the sun shines 80% of the time. Surrounded by the stately peaks of the Sierra Nevada, its waters soak up the colors of the sky and the mountains, creating a kaleidoscope of sparkling blues, greens and purples. 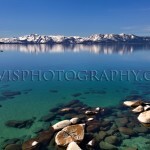 It’s hard to imagine an area as captivating as Lake Tahoe. 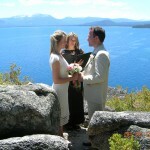 When Mark Twain first saw Lake Tahoe, he declared it, “the fairest picture the whole earth affords.” Lake Tahoe offers a wide variety of choices for a perfect wedding ceremony. Just let your imagination go and I will be your guide. The descriptions below will give you a clear idea of just some of the locations possible. Some of the following locations are on U.S.F.S. land and free to use, some require reservations, permits, and/or use fees. Located throughout California and Nevada Lake Tahoe there are quiet venues and several picturesque locations to choose from. Some places are public and do not require site fees for very small groups to gather for an intimate wedding and others have lower rates for small groups and midweek weddings. You may dress as fancy or as casual as you choose, play some music, and have a toast or celebration. Great for small groups or perhaps just the two of you with your flowers, rings, minister and photographer. 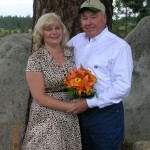 If you have selected your own location or arranged a private home that is available for weddings and receptions “I Do” Tahoe Weddings can bring your wedding ceremony to you. 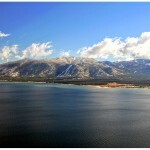 On the Nevada side of Lake Tahoe, these beach locations operated by the U.S.F.S. boasts panoramic views of the lake among a setting of large granite rocks at Zephyr Cove or the expansive sandy beach and pine trees of Nevada Beach. These locations are ideal for an early morning, sunset, midweek, or winter wedding where the majestic views will allow for breathtaking photos and beachgoers will be less of a factor. Parking fees and permission for use applies. Maximum # of Guests: 20 Note: Nevada Beach does have a large covered day use site available for rental for larger groups open mid-May thru mid-October. 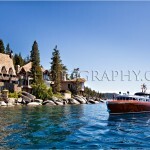 A beautiful park located on the water’s edge of Lake Tahoe in the center of South Lake Tahoe, California. Regan Beach is located in a local neighborhood and is perfect year-round and has ample parking. Small wedding parties may gather on the main park lawn for informal ceremonies without a fee. 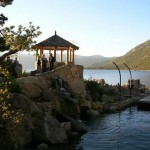 A private wedding site operated by the City of South Lake Tahoe is also available by reservation and allows for two hours use. 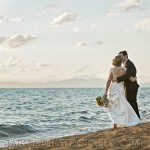 All Located in California, these wedding specific locations provide beautiful beachside vistas for your wedding and are all close to wonderful reception options. Weddings at these locations include seating for your guests, a wedding arch, and assistance to keep your wedding coordinated and private for the ceremony. 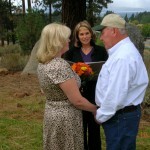 Site fees vary, budget around $1,000-2,000 for wedding ceremonies in these locations. Maximum number of guests ranges from 2-200 people and are approximately 1 ½ hour rentals. Each location is unique and site tours may be arranged. 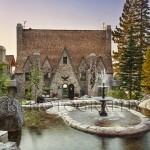 There is no more enchanting or memorable location than the exclusive historic Thunderbird Lake Tahoe: Lake Tahoe’s Castle-in-the-Sky and home to the world famous Thunderbird Yacht. 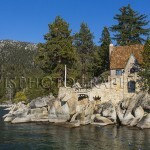 “The 70-year-old stone house and grounds snuggle the shoreline of Lake Tahoe’s East Shore. Your wedding can be enjoyed amidst the waterfront gazebo, waterfalls and secluded terraces connected by intricate stone pathways, providing special gathering places for the enjoyment of your wedding guests. In 1936, George Whittell Jr., a San Francisco millionaire, spared no expense constructing his whimsical “Lake Cottage” and its sculpted-rock small cabins. 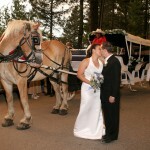 Since Thunderbird Lake Tahoe is operated by Thunderbird Lodge Preservation Society, a 501(c)(3) public charity, a portion of the fees you pay for your ceremony, reception, or rehearsal dinner are tax deductible to the extent allowed by law. 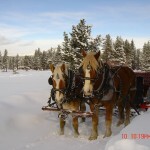 Skiing, Snowboarding, Snowmobiles, Sleigh Rides, Snowshoe Hike, or Cross Country Skiing all with views of Lake Tahoe options and any other type of winter wedding you can imagine are available. Number of guests varies depending on option choses. Permits, tickets, or use fees may apply. 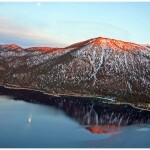 Enjoy breathtaking panoramic views of Lake Tahoe from the top of the world. 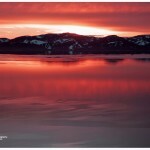 Ride the gondola at Heavenly Resort to and from this spectacular mid-station location. 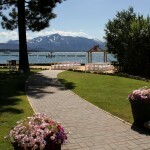 Enjoy this location year-round for a warm weather vista or a snow-covered ski wedding. Guest maximum: 20. Must purchase Round-trip gondola sightseeing passes for $45 each guest and a Heavenly wedding permit fee applies and will be obtained by your wedding planner. 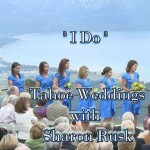 Depending on how many guests you have, Tahoe has many beautiful indoor wedding locations including Inn by the Lake, Tahoe Lakeshore Lodge and Spa, The Chapel at Harveys and The Loft at the Blue Angel. 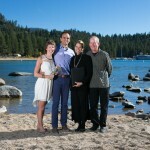 “I Do” Tahoe Weddings has partnered with Heli-Tahoe to deliver this one of a kind wedding experience. Imagine flying high above beautiful Lake Tahoe and saying “I Do.” Starts from the South Lake Tahoe Airport and see the beauty of Lake Tahoe from Zephyr Cove to the magnificent Emerald Bay. I will perform the ceremony in the air. 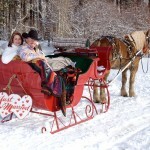 The flight is approximately 20 minutes in length and the helicopter has enough room for the bride, groom and minister. The pilot is your witness. Either a California or a Nevada Marriage license may be used. 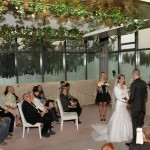 Heli-Weddings begin at $749. More flight time or guests may be added, additional costs apply and depends upon availability.